Key players in the body’s defenses, macrophages are immune cells that swallow bacteria, viruses or infectious germs. When the body comes under attack, these white blood cells engulf the attackers and eliminate the threat. Like characters in a Pac-Man video game, they roam the body, chasing and digesting invaders. 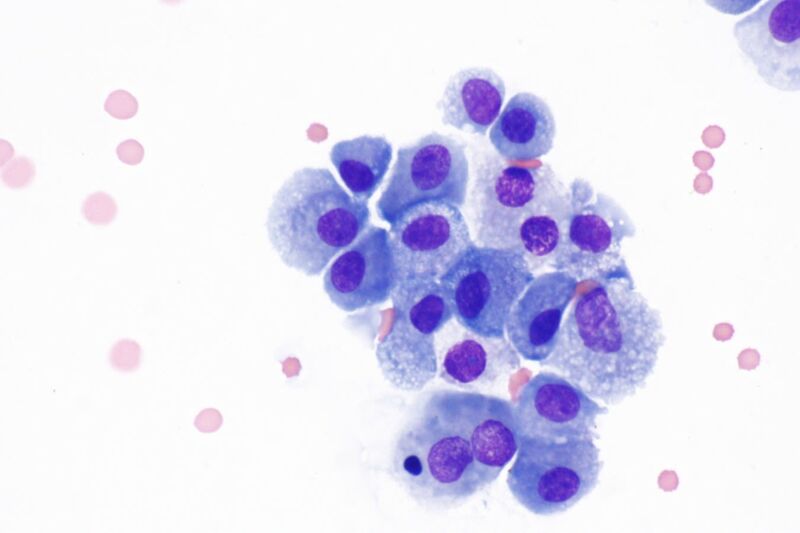 Macrophages play a critical role in both health and disease. 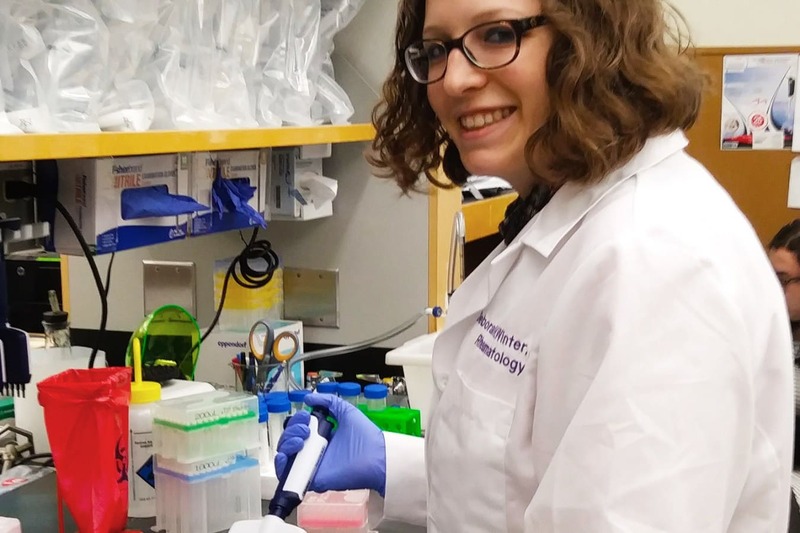 With funding from the Arthritis National Research Foundation, The Winter Lab of Functional Genomics is studying the role of macrophages in chronic inflammatory diseases like rheumatoid arthritis (RA). How does rheumatoid arthritis differ from premature aging? The immune system declines with age, destroying the body’s ability to combat infection or other threats. Scientists want to know whether the same processes that drive aging and also drive rheumatoid arthritis. As people age, stem cells in the bone marrow spur the overproduction of monocytes that lead to chronic inflammation. At first, Dr. Winter expected that both aging and RA would share similar inflammatory pathways. To her surprise, the mouse models showed that RA differs from premature aging in significant ways. While aging mice had a larger number of monocytes in the blood, in arthritic mice, monocytes were funneled directly to the joints. What are the key genomic factors that drive macrophages away from their normal healthy function? As research breakthroughs continue to bring new hope for people with rheumatoid arthritis, scientists are looking deep into the genome to understand why macrophages go awry in RA. 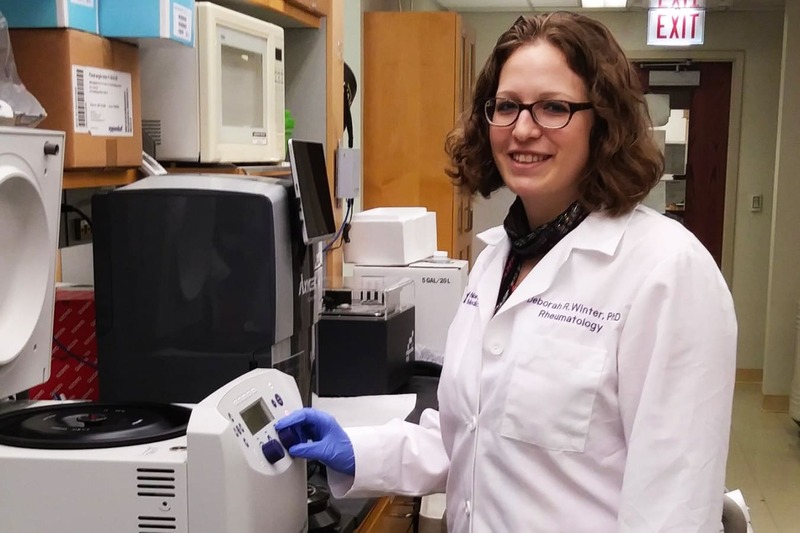 In her lab, Dr. Winter is using the power of genomics to explore how macrophages promote chronic inflammatory diseases. Using a variety of techniques — from crunching “big data” to next-generation sequencing — Dr. Winter is investigating how genes are regulated and expressed. She is exploring gene regulatory networks that define the development of different cells in the immune system. Dr. Winter is using her background in computational biology and immunology to decipher complex patterns of gene expression. Although macrophages are widespread throughout the body, the body programs them for specific functions, such as pruning synapses in the brain or recycling red blood cells in the liver. Help support more research like that of Dr. Winter’s by making a donation today!